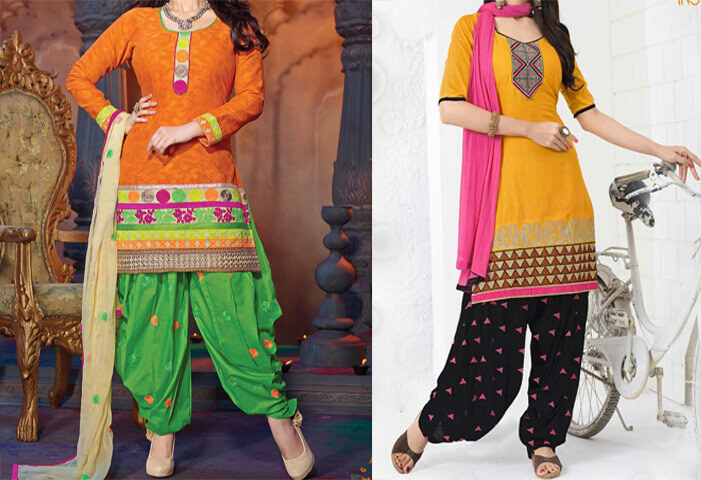 Cotton Patiala Salwar Kameez Suit is very popular women dress in Indian Punjab. Sikh Punjabi women likes to wear this stylish cotton patiala salwar suit on wedding, function, party or any other event. Designer Patiyala Salwar Kameez with beautiful neck designs is the most favorite sweet dish for every Punjabi girls. 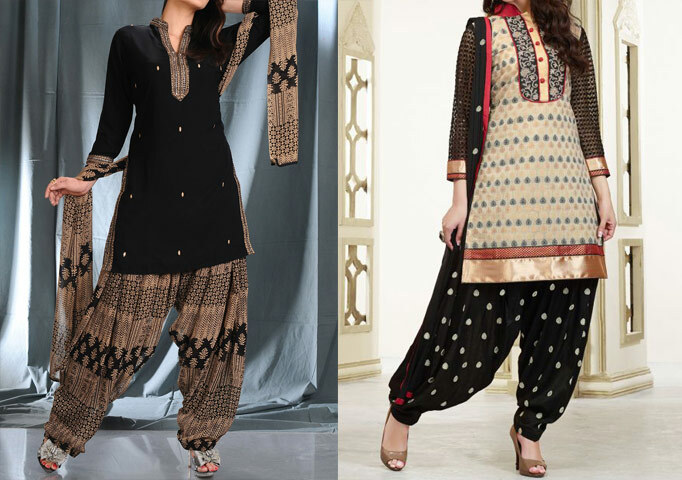 These patiala salwar design introduced in Pakistan but gets popular in India then Pakistan. These Pakistani salwar suit now available at all boutiques with beautiful stones, moti, light and sequins work. Fashion trends changes every year around the globe. Now a days Cotton Patiala Salwar Kameez Suit design offers with a modern touch to enhance the beauty and popularity of this beautiful dress. Patiala Suit latest collection 2015 launched with stylish neck design and chudidar pajama. Normally short shirt with churidar pajama are introduced by designers but this time designers also launched patiala collection 2015 with long shirt. If we talk about the modern girls then long shirt is on top with jean, plazo and also with choori pajama. Neck designs also known as Gala design in Indian and Pakistan. The design of the upper part of a kameez is called neck design. Mostly Asian girls likes to wear stylish neck designs with long shirt and short shirt kameez. You can cut your own Neck (Gala) Design at home by simple tips. Neck design cutting video also helps them. Mostly Punjabi women knows well how to cut Neck Design at home. But remember ladies neck design cutting is not a easy job. You need to be expert in it before cutting a beautiful and stylish neck design for your Cotton Patiala Salwar Kameez Suit. If you ask me the best dress for a girl in 2015 2016 then definitely i personally recommend Cotton Patiala Salwar Kameez Suit for you because its beautiful, stylish, loose for summer season and have a traditional value for us. So if you are going to buy summer dress then patiala is the best choice for you. You can wear it for casual wear and formal wear as well. Drop a comment below if you like this post. Best of luck. Can you post me catalog to my. 15 SPENCER street Hartford. SG137AH. Thank you.